The German ichthyologist M.H.C. Lichtenstein described the goliath grouper as Serranus itajara in an 1822 publication regarding the natural history of Brazil. The genus name comes from the Greek epinephelos translated as cloudy. Synonyms of E. itajara include Serranus guasa Poey 1860 and Serranus quinquefasciatus Bocourt 1868. A number of authors treat the name Promicrops itajara as valid taxonomy for the goliath grouper. The goliath grouper occurs in the western Atlantic Ocean from Florida south to Brazil, including the Gulf of Mexico and the Caribbean Sea. It is also found in the eastern Atlantic Ocean, from Senegal to Congo although rare in the Canary Islands. The species is also present in the eastern Pacific Ocean from the Gulf of California to Peru. 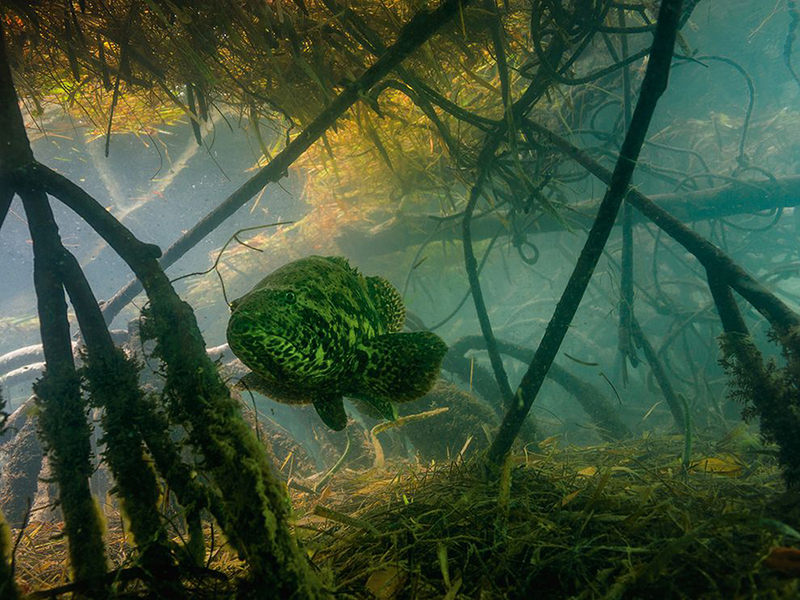 This entry was posted in SCIENCE AND NATURE and tagged fish, OurWorld. Bookmark the permalink. ← The Perfection of the Romanesco Broccoli. The post featured on National Geographic (a great website for adults and children).